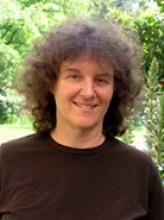 This month we are publishing Narratives of Adult English Learners and Teachers by Clarena Larrotta. In this post the author discusses her choice to use narratives to present a picture of adult language learning. Considering this audience, narratives and storytelling seemed to be the perfect medium to transmit a powerful and memorable message to them. I wanted them to understand that we need to go beyond theory and outside the classroom walls to include community and envision adult learners as whole human beings. Older learners are among the least studied groups in the literature and many of them take on new challenges as they migrate to a new country, and as they face the need to learn a new language-culture. Providing an account of both narratives (adult learners’ and teachers’) aimed to inspire trainee teachers and practitioners in the field of adult education to become better and more reflective teachers. 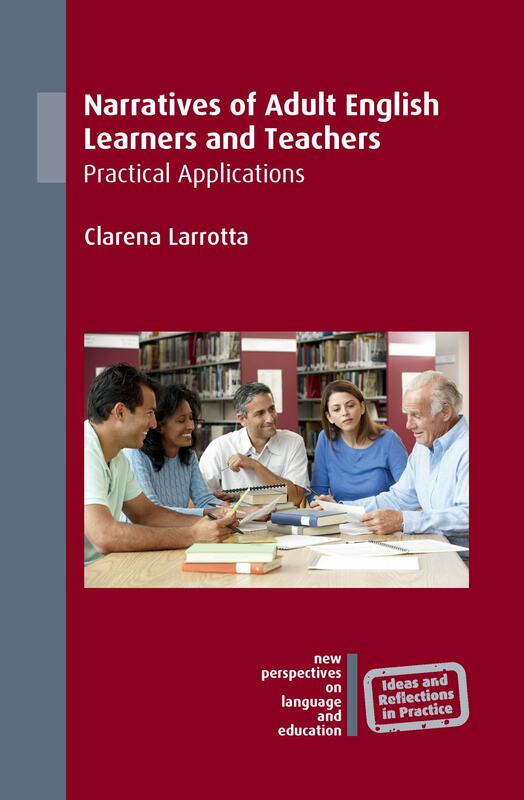 The book supports the idea of preparing trainee teachers for actual scenarios they are likely to encounter with adult language learners and colleagues in adult education programs. Likewise, the volume invites actual adult educators to reflect on their practices and contemplate the realities of the learners they serve. 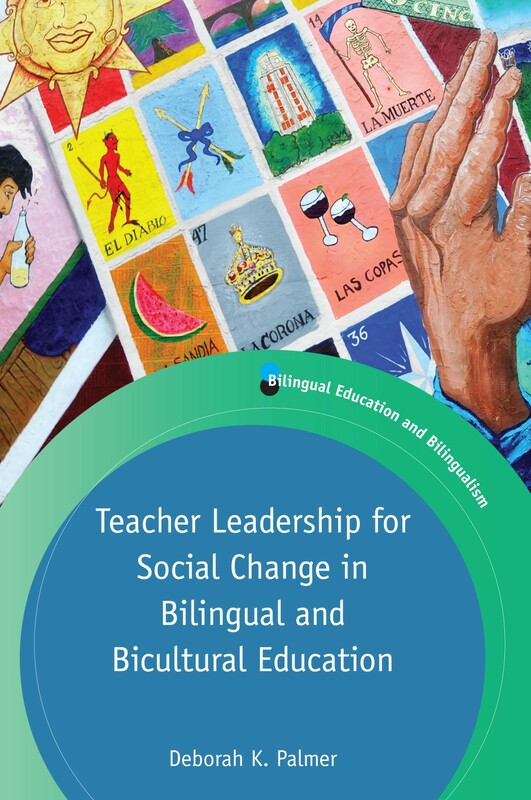 In summary, the book aims to honor the work of language learners and TESOL practitioners and to share highlights from their learning/teaching journeys. The narratives in this book make accessible the stories shared by learners and teachers as they lived them in real-life settings. The book chapters and their respective stories contain a beginning, middle and end. The beginning provides the context and supporting theory, the middle presents the main issues to be considered and the end gives clo­sure to the reader. 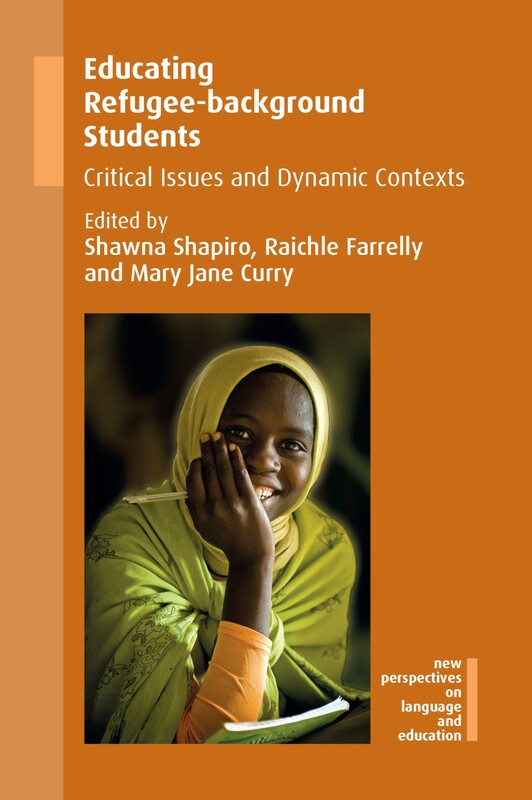 As a result, each chapter introduces (1) the participants in the story – teachers’ and learners’ experiences and their interactions; (2) the context, socio-political, and socio-cultural dimensions; and (3) the physical settings where the story is located -the program, the course, the language-culture and country of origin. The learners’ stories allow teachers to gain empathy and cultural knowledge. A narrative approach to exploring one’s teaching practice leads to a better understanding of that context and hopefully sharing this learning will promote change and encourage other teachers to make sense of and reflect on their personal teaching stories as well. What Will You Do With the Rest of Your Life? Consider Working With English Learners! This month we published Sarah J. Shin’s book English Language Teaching as a Second Career which is the first book in our new series CAL Series on Language Education. In this post, Sarah discusses the experiences of people who embark upon a new career as an English teacher later in life. Consider the following statistics: A 45-year-old American woman who remains free of heart disease and cancer can expect to see her 92nd birthday; a 45-year-old man in similar condition, his 88th birthday. This means that today’s 45-year-olds who maintain reasonably good health can look forward to living another half of their lives. Throughout much of human history, 40 was regarded as a fairly ripe old age. But with extraordinary advances in biomedicine in the last century, longevity has become a global reality. As a result of dramatically increased life expectancy, a new developmental stage has emerged in the life cycle. The period between the end of young adulthood and the onset of true old age can easily cover a span of four or five decades. An important consequence of increased life expectancy is that people need to be able to support themselves financially for more years. A 62-year-old person today could easily require 30+ years of retirement income. This motivates people to work beyond the traditional retirement age of 65. Four out of five baby boomers expect to work well into what used to be known as the retirement years. What distinguishes this new generation of adults in terms of work is that they are moving beyond midlife careers in search of a calling in the second half of life. They focus on what matters most and are no longer satisfied to work simply to bring home the paycheck. They look for deeper meaning in what they do and are more interested in having an impact on the world around them. Driven by a sense of ‘If not now, when?’, they are able to break away from their former limitations and break new ground on the kind of work they choose to do. As an English as a second language (ESL) teacher educator at a university, I interact with a growing number of people in their forties, fifties and sixties, who find satisfaction in helping students learn English. Many are actively involved in tutoring and volunteer work with literacy organizations in their communities, where they interact with immigrants and refugees from around the world. These individuals are moving beyond midlife careers in search of a calling in the second half of life, and many consider teaching to be that calling. 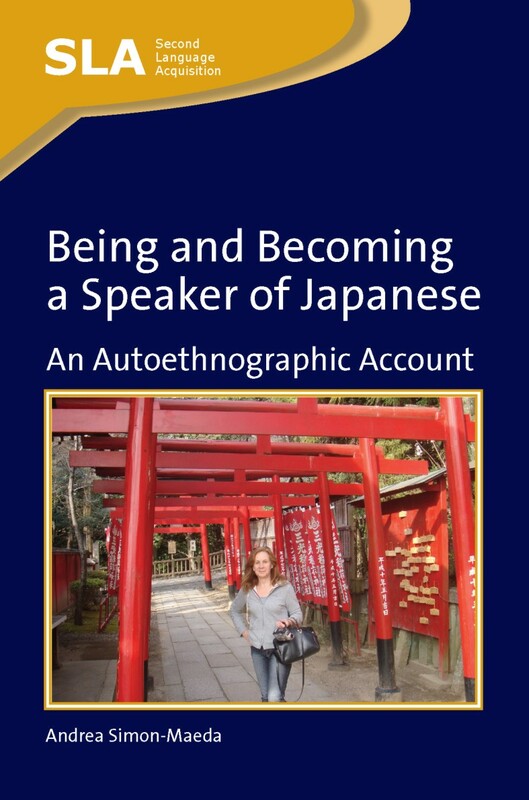 In my book, English Language Teaching as a Second Career, I explore what is on the minds of these adults, what they are looking for in their work with English learners and what their experiences are like as they return to school to be trained for a career in education alongside folks in their twenties and thirties. I provide portraits of these individuals as they develop as teachers and describe the processes they go through to launch their teaching careers, and the evolving significance of their work in their overall life goals and achievements. With longevity a new global reality, the trend we see today of adults returning to school to be trained for a different career will continue in the coming years. The question is how will we create a shared vision for lifelong learning that helps individuals to experiment with new ideas and different types of work, regardless of where they are in the life cycle? For more information about this book, please see our website. You might also be interested in the recent interview with the editors of the CAL Series on Language Education on our blog. This month we published Ross Forman’s new book First and Second Language Use in Asian EFL which explores the issue of using students’ first language in the English language classroom. Anyone who has taught English in Asia will know that classroom practices and teacher/student roles are often quite different from what we might expect in Western contexts. In other words, I refer of course to the fundamental differences of pedagogy which exist between ESL and EFL. When I first made the move from teaching ESL in Sydney, Australia to teaching EFL at a Thai university back in the 1980s, I found that so many of my assumptions had to be questioned. One above all struck me: the role of L1 in teaching. Then, as now, L1 use in L2 classes was generally curtailed or even forbidden by a number of Ministries of Education in Asia. When back in Sydney, I kept in touch with Thai colleagues. And then, twenty years later in the early 2000s I took the opportunity to return to my former workplace, but this time as a researcher, to explore with bilingual local teachers how and why they made use of L1 in L2 teaching. Perhaps due to my existing relationships, and perhaps also due to my declared intent to ‘find out why’ rather than to problematise the use of L1, I was able to get fascinating data from nine local teachers through lesson observation and interview. Teachers were able to speak of the pedagogic value of L1 – speed, accuracy, ensuring that all students could follow the lesson; as well as its affective value – how speakers of L2 ‘feel different’ in the foreign tongue, and how this affords feelings of anxiety, apprehension and joy. Every teacher felt that without some judicious recourse to L1, their teaching of English would be greatly diminished. Looking at the bigger picture, time and again I was led to see how a newly developing L2 becomes embedded into the existing L1. There are flows of meaning which are multiplicative across two languages; their impact has been under-explored and under-valued to date. Looking specifically at Asian contexts, my book aims to give local EFL teachers a voice in explaining why and how they do what they do. This week we published Kate Mastruserio Reynolds’ book Approaches to Inclusive English Classrooms which attempts to bridge the gap between theory and practice to prepare teachers for the needs of English language learners (ELL). In this post, she gives us some background to the book. This job announcement posted today on a jobs list might sound like gibberish for many pre-service educators or teachers just entering the job market. The knowledge of English as a second language (ESL) that inform this advert start with the acronyms, ESL, ELL, TESOL, CELTA and advance to ‘English for Academic Purposes and for Specific Purposes’ and ‘ESL classes are content support classes (English for Science, English for Math, etc. )’ Although this position is for an ESL specialist, increasingly content area educators (i.e. teachers of Math, Sciences, Social Studies/History, Literature and Language Arts) are called upon to work with learners whose first language is not English. By 2050, US national statistics indicate that English language learners (ELLs) will be the majority of learners in the US K-12 public schools. Not only are many educators not adequately prepared for this change in the demographics of our school system, neither is our teacher preparation system. Pre-service teachers, those in the process of gaining teacher licensures at universities, rarely are provided any information or training on the ELLs they will encounter in their professional work. Many in-service teachers are confronted by this lack of preparation and need to gain more professional preparation in the field of ESL in order to sufficiently meet the unique linguistic needs of the second language learners. It is not an easy fix. There is a lot to ‘sufficiently meet the unique linguistic needs’ of second language learners. Teachers cannot simply make one change to their instruction, like using cooperative learning, in order to scaffold instruction for ELLs. First, teachers need to be aware of how they communicate with students. They need to become culturally knowledgeable about the learners’ cultures and strive to make their own speech comprehensible to the language learners. Second, they need to be able to teach the skills of language—speaking, listening, reading and writing—as well as grammar and vocabulary. I’m not talking about the traditional grammar translation method here either. Teachers need to be savvy in their use of time to situate grammar into the content material they are teaching. For example, they need to teach how to write using regular past tense (–ed form) when describing the accomplishments of ancient China in Social Studies class. Several models and methodologies to approaching the instruction of ELLs have emerged in the field of ESL/EFL, called content-based instruction (CBI). All these models (CALLA, SIOP, RtI, etc.) focus on various ways to engage ELLs and teach them content and language simultaneously. No one method is a cure all. All of them have their advantages and drawbacks. Some of them were developed for specific contexts and populations, such as the ExC-ELL model that emphasizes academic literacy for a non-native speaking population who have strong oral proficiency skills in English. Knowing which methods to employ and when with which population is one way that I would like to empower K-12 educators. 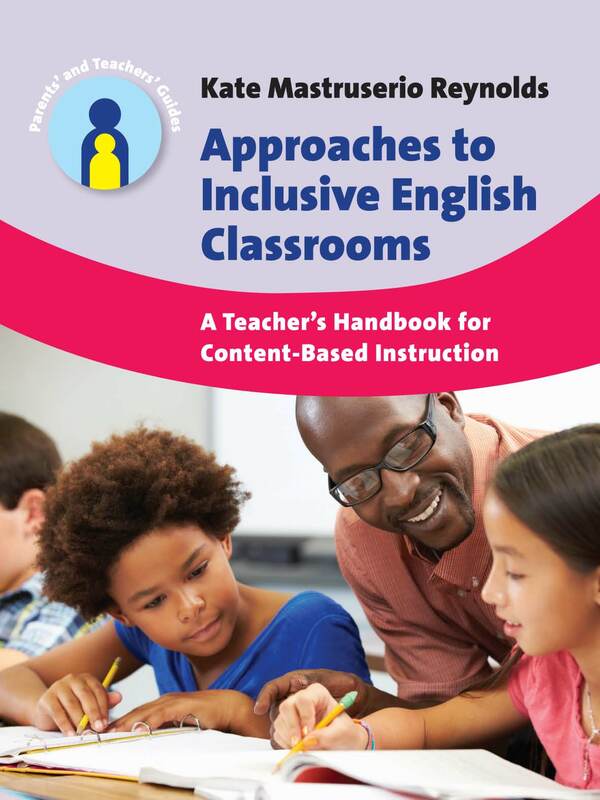 My book, Approaches to Inclusive English Classrooms: A Teacher’s Handbook for Content-Based Instruction, addresses these issues and more in a practical way that provides insight for pre-service and in-service teachers on teaching ELLs effectively. If you would like more information about Kate’s book please see our website. 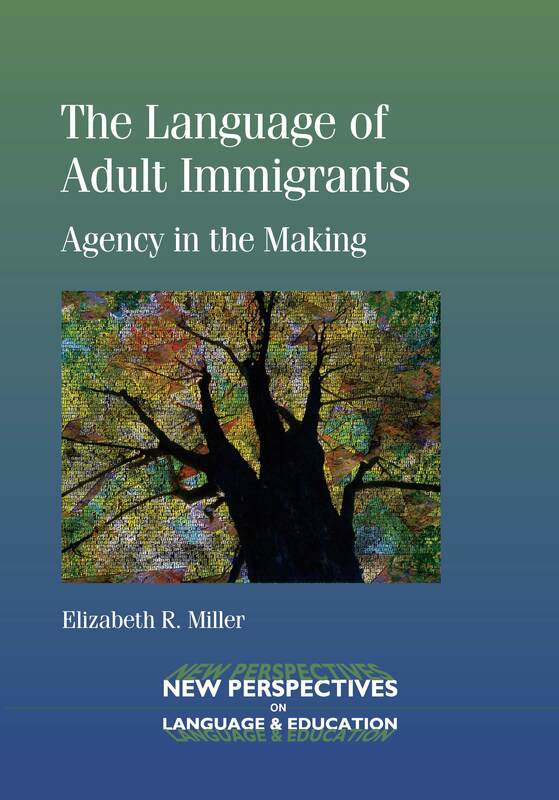 Earlier this month we published Elizabeth R. Miller’s latest book The Language of Adult Immigrants. Here, she explains a bit more about how the book came about. I am excited to have my research finally appear in book form. The folks at Multilingual Matters have been remarkably helpful, courteous, efficient, and professional throughout the long process. I have been interested in learning more about the experiences of adult immigrants for a number of years and most of my publications draw on the things I have learned as I interacted with these individuals, in ESL classrooms and in interview conversations. I am repeatedly impressed by their ability to create lives for themselves and their children in situations where so much of the linguistic, cultural, and social activity around them is strange or inaccessible. One woman whom I interviewed for this book told me that her husband helps out in her nail salon because of a workplace injury that had occurred a number of years before and that left him unable to do heavy physical work with his hands. She recounted that while he was fixing some equipment owned by the cement company he worked for, he cut his hand and arm badly. But instead of letting the injury heal properly, he took off the binding wrapped around his hand and went back to work because he was afraid he would lose his job if he didn’t. She said, “We don’t know and we don’t know everything and we don’t understand. We don’t speak English.” As a result of not knowing what he could or could not do in that situation, and fearing the worst, his hand and arm are permanently disabled. It doesn’t take an applied linguist to discover that the lives of first generation immigrants are often difficult and marked by feelings of helplessness, as illustrated in my interviewee’s account of her husband. And yet the individuals whom I interviewed for this book had all managed to open their own businesses. In many cases they were rearing families. And all had managed to learn English—often not in ESL classrooms but through informal interactions in their workplaces. How did they see themselves as able to pull off these accomplishments despite the daily difficulties that are part of the immigrant experience? That was one of the questions that motivated my attempts to better understand the notion of agency, especially in relation to their acting to learn English. The understanding I have come to at this stage in my research is that it is problematic, sometimes dangerous, to “place” agency “inside” people. But, as with all complex human experiences, there is another “side” to this perspective. I have also come to understand that when we accept or perceive that we are agentive beings, we are motivated to take actions that are often difficult and require extreme effort. There is no simple, tidy explanation for agency and language learning. In fact, it took a whole book for me to grapple with it. If you would like more information about this book please go to our website. 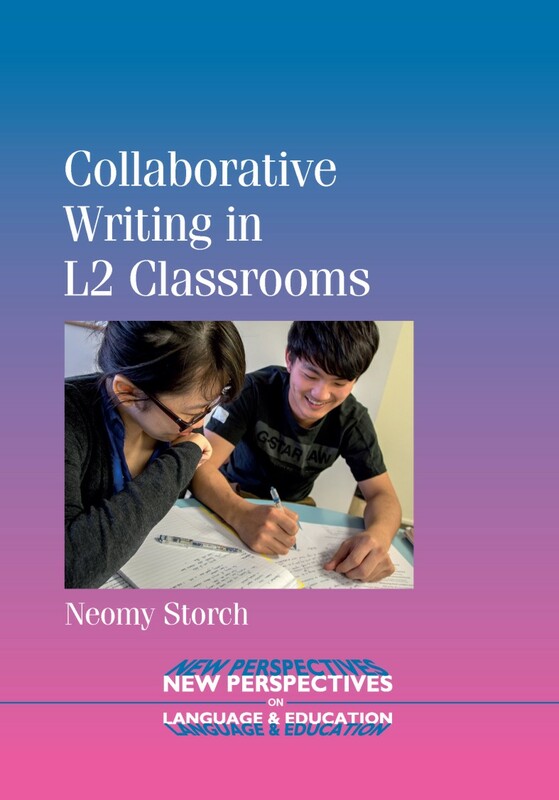 Earlier in July we published Collaborative Writing in L2 Classrooms by Neomy Storch. Here, Neomy tells us what inspired her to write the book. My interest in collaborative writing; that is, the co-production of a text by two or more writers, arose unintentionally. As an ESL teacher I frequently used small group and pair work in my classes in order to encourage my students to speak in the target language (English). I also used short editing tasks to encourage my students to focus on grammatical accuracy in writing. When I began research towards my PhD dissertation, I experimented with different grammar exercises and short writing tasks that the students were asked to complete in pairs. As I listened and observed my students working in pairs on these tasks, I became aware that the act of producing a text jointly elicited greater engagement than oral tasks, and certainly more focus on language choice and accuracy. Collaborative writing tasks also elicited some heated debates about ideas and about how to express such ideas, much more than grammar tasks. Clearly, there was a notion of text ownership at play, not present, for example, when the students completed editing tasks based on texts that they did not compose themselves. My own subsequent research, research conducted by my graduate students, as well as by eminent scholars such as Professor Swain has shown that collaborative writing tasks, if carefully designed and implemented, can provide language learners with ample opportunities for interaction, for peer feedback and ultimately for language learning. Indeed I now strongly believe that collaborative writing tasks can provide more opportunities for language learning than oral tasks or solitary writing tasks. In this book I argue for the use of collaborative writing tasks in L2 classes. Drawing on a range of theories of second language learning as well as empirical research findings I attempt to illustrate the merits of collaborative writing for language learning. I also discuss factors that need to be taken into consideration when designing and implementing collaborative writing activities. Given the rapid developments in the field of computer-mediated communication, and particularly recent developments in collaborative writing platforms such as wikis and Google Docs, I believe that the book is very timely. Now, perhaps more than ever before, we need to be to be aware of how best to implement collaborative writing activities, whether in the face-to-face physical classroom environment or in the virtual computer mediated environment. 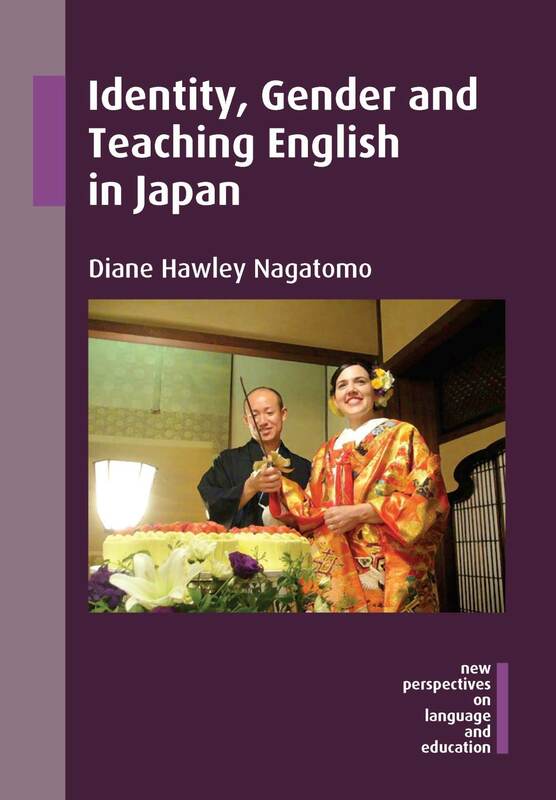 I hope that the book can serve as an important resource for language teachers. I also hope that it encourages second language researchers to further investigate the merits of collaborative writing in different L2 contexts. 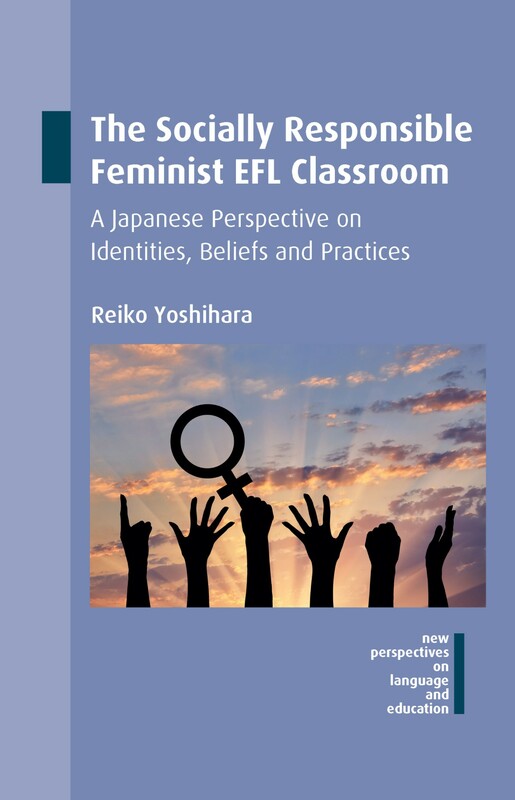 For more information about this book click here or if you’re interested in the other books in our New Perspectives on Language and Education series take a look at our website. 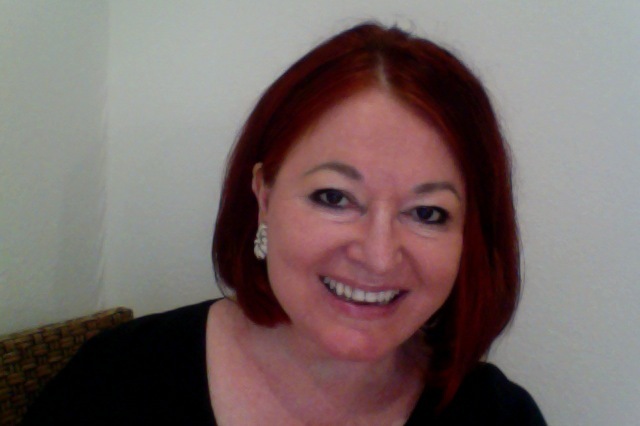 Having just published her latest book Language and Learning in Multilingual Classrooms we caught up with author Elizabeth Coelho and asked her a few questions about her work. How did you first become interested in immigrant and multicultural education? I became interested in language teaching first. As a young teacher I spent a year teaching English in Bulgaria, which made me realize that simply being a teacher who spoke English was not enough; I needed to know how to teach language in a way that was engaging and effective. During that year I also experienced culture shock and other difficulties associated with being in a place where I did not speak the language or understand the cultural norms. This was the early seventies and I arrived in Bulgaria, naïvely, with a suitcase full of miniskirts… And there were many other occasions when I misinterpreted the culture. In Bulgaria, for example, shaking the head means “Yes. '” Endless confusion when asking for help or ordering in restaurants. This experience helped me later to understand the adjustment process of the immigrant children I worked with on my return to the UK and then, later, in Canada. In the UK I worked in a special program for Creole speaking children from the Caribbean. We were a team of teachers placed in different schools and every Friday we met for professional development. I learned an incredible amount from my students and my peers about teaching, language, culture, and racism. A year or two later I was teaching English as a Second Language to immigrant students from all over the world in a Toronto secondary school, and taking professional courses to become better at it. Which other researchers in your field do you most admire? Jim Cummins is always an inspiration. Learning about the value of students’ own languages was pivotal for me. Viv Edwards at the University of Reading also helped me along the same road. What makes your book unique compared to others published in this field? I think I occupy a middle space between academic researchers and the teacher in the field. I am first and foremost a teacher, having spent 17 years in the classroom, mainly as an ESL teacher, and then many years in various positions working with or training teachers. I read the work of the researchers (Cummins, Krashen, and others) and talk with teachers who are doing wonderful work in the classroom, and am able to connect theory and practice. This book provides an overview of relevant theory and research and then provides many suggestions for classroom practice based on the theories. Why is it important for children from linguistic minorities to receive special attention in classrooms? 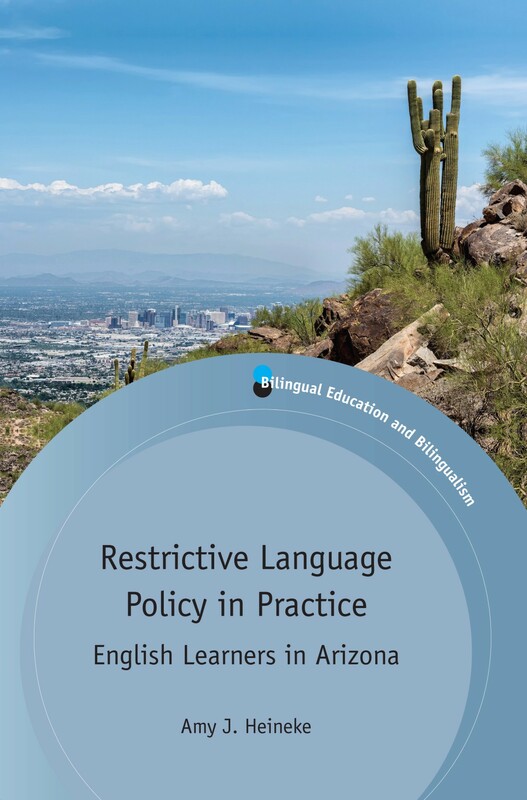 Unfortunately, providing mother-tongue or dual language instruction may not be feasible in many schools or districts, for political, practical, or philosophical reasons. Therefore we must do all we can to compensate for the fact that we are teaching in the wrong language for many of the students.We do this by providing scaffolded, differentiated instruction and assessment for students at various stages of development in the language of instruction— in all subject areas and at all grade levels. My book provides many practical, curriculum-based examples of how to do that. What encouragement would you offer to teachers who are struggling with multilingual students in their classrooms? The task of educating students whose linguistic and cultural backgrounds are different from your own, or from those of the school, may seem overwhelming, especially since most teachers have not received significant preparation for teaching in contexts of linguistic and cultural diversity. But, to put things into perspective, the challenges facing immigrant children and youth, and their parents, are even greater than those facing teachers. We owe it to such children to overcome the challenges that face us as educators, in order to help them meet theirs. In this way educators can help newcomer and minority students to realise their aspirations for a brighter future, and at the same time help to ensure a healthy future for the entire community. This may sound like a daunting responsibility – but most teachers didn’t choose teaching because it seemed like an easy job. Most teachers have the compassion, the imagination, and the passion for teaching that is needed in a profession where the one thing we can be sure of is constant change. You are involved in a great cross-cultural adventure. You face many challenges, but you will also find your journey illuminating and rewarding as you learn more every day about the backgrounds and experiences of your students. Undoubtedly your view of the world will change, and your awareness of your own cultural background will be enhanced, as you learn from your students about their worlds and as you teach them about yours. And finally, what is next for you? At the moment I am working with colleagues at the University of Girona to adapt the book for teachers in Spain, where immigration is a relatively recent phenomenon. Through this process I continue to improve my Spanish and am gaining a new awareness of the challenge of expressing knowledge and sharing perspectives in a language I am still learning. I am filled anew with admiration for students in elementary and secondary schools who are doing this six hours a day, five days a week, forty weeks a year. Because I am now living in Spain most of the time I have become increasingly interested in CLIL (Content and Language Integrated Learning). CLIL is an increasingly popular approach to foreign language teaching in Spain and many other countries in Europe, and many teachers are providing instruction through the medium of English in subjects such as Social Studies, Arts, or Science. The learning objectives include language-learning objectives as well as the usual content objectives. 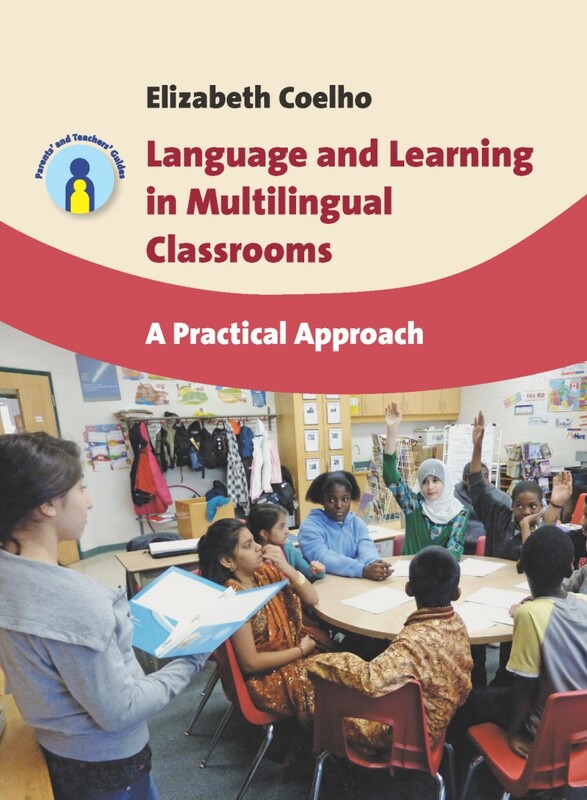 I believe many of the approaches and strategies described in my book, that have been used effectively with immigrant and minority students who are learning the language of instruction, are equally useful in the CLIL context. So I am looking for opportunities to share some of this knowledge and experience with CLIL teachers and advisers.